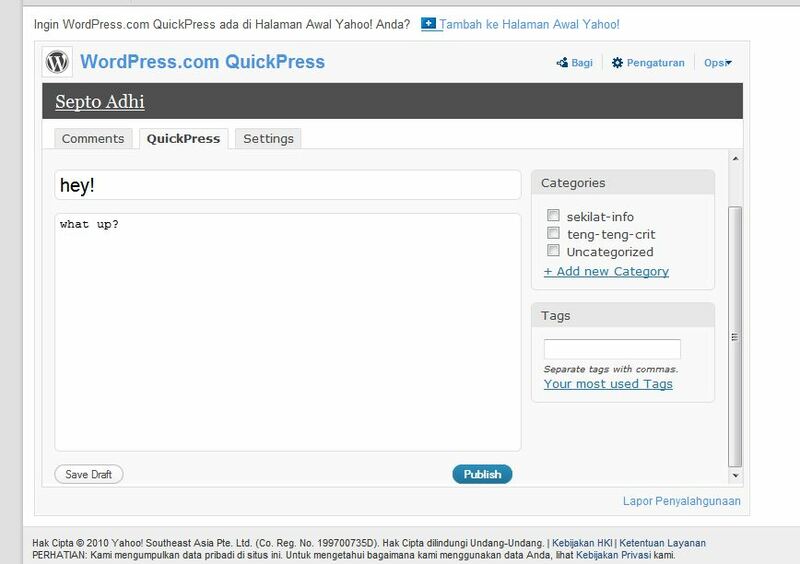 I am posting this using WordPress.com QuickPress on my Yahoo apps. PS: apparently, when you hit publish on QuickPress it didn’t publish your post asap, it will only save your post as pending draft then you should log in and published it (again). Or, am I the one who didn’t understand how to use it? PPS: here I enlisted captured screen from when I used QuickPress.